The wedding is all over and done with and now you want to create something to remember it by. You’ve likely hired a professional wedding photographer and now you’re looking for a wedding album. The problem is, your photographer is charging you thousands to create the album of your dreams. There is nothing wrong with deciding that you’re going to create your own wedding album. This is a great way to save money and make something that is more personal. You can choose your own photos and make it in a way that works for you and your family. Here are some ideas for wedding albums. If your photos are already on the computer, which they probably are, keep them there and create your own digital album. You could post it online somewhere for your friends and family members to look through or you could create something personal with editing software. There are plenty of programs available at reasonable prices to create a digital one. The benefit is that your photographs will be much easier to share with others. You simply click the file and attach it to an email or copy the web link as your Facebook status for people to check out. The album can also be decorated and laid out exactly as you wish and it’s easy to drag and drop photos in and out. Instead of having a full wedding album of photos, you could create a small scrapbook with all your wedding memories. There are scrapbooks available to buy or you could make your own. They are easy to do with a few arts and craft supplies and you get to create something that suits your taste exactly. The best thing about a scrapbook is that you can include more than the pictures. You can cut out the messages in your guest book to add along with the photos or stick in some of the ribbon from the back of chairs or even some of your flowers. It’s a place to put all your favourite memories from the day. Scrapbooks give you the freedom of adding photos in at odd angles and you can have a mixture of photos. If you opted for a few disposable cameras for your guests to get quick photos of, you can use these as well as your professional shots. Mix the traditional day time routine with the night time party and add you own decorations and style around the edges. Create a beautiful leather wedding album with a sewn cover. There are five slots per page for your favourite photographs. Others want to remember your day, especially those who were close to you. Use the photos to create mini wedding albums. These can be personalised for each guest with messages, photos from the day of just you with those guests and other items from the parts that they were heavily involved in. This can become quite costly but you could do it digitally and send the album. This could form as part of your thank you card to help save money that way or even the gift for those who were very close to you. These mini ones don’t even have to be just for the guests. You can create mini ones throughout the day for your own use. Have one of the bride and her bridesmaids getting married. Have one specifically for the groom and his groomsmen the night before. Opt for one that covers the first dance and cutting of the cake. You can still have your wedding album completed professionally. This doesn’t need to be with the original photographer, either, so you can save money. Ask around the different photography companies in your area and even look online. There are now plenty of places offering albums and wall art at reasonable prices. These professional wedding albums are perfect for your main one. There are different styles available, including the paper and plastic covering and even glass styles to create an elegant style. You will need to think about your budget though and talk to the photographers about your options. Some will need the digital copies while others will ask you to print your favourites off. Check out the websites online that help you create your own wedding album. They can be completely personalised by adding photos on the front, choosing the colours and even the design. They look professional when they come through your letter box and take you no time at all to make. All you have to do is choose your favourite photographs to include. 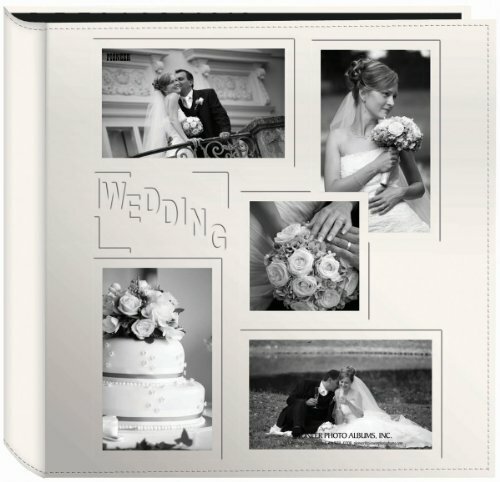 Creating your own wedding album is fun as well as more affordable. There are many ways of doing it and different ideas to get you started. Enjoy this part and have something so you can look back over your photos for the next few decades together. Have something for your children and grandchildren to look at to see you both in your hayday! 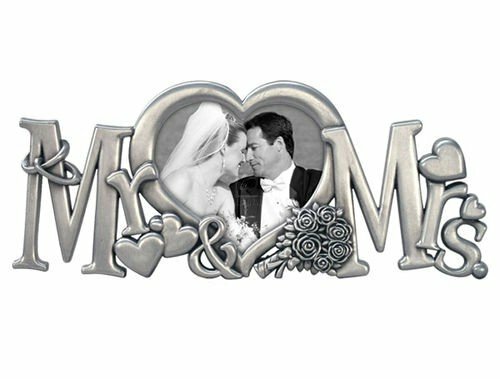 Fit a 2in by 3in photo in this beautiful heart-shaped Mr. & Mrs. frame. Metal frame with a silver finish.